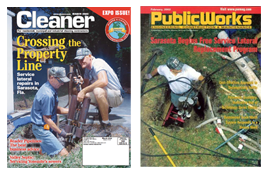 Browse > Home / Swartz Creek Pipe Lining Company Does Trenchless Sewer Repair Lasting 100 Years! Swartz Creek Pipe Lining Company Does Trenchless Sewer Repair Lasting 100 Years! Pipe lining can be used in high rise vertical sewer pipes and rain drains, underground cast iron and clay sewer pipes, cooling tower or chiller pipes. For deteriorating culvert pipes or storm drains that are experiencing sand infiltration or have started to collapse, pipe lining permanently restores the functionality of the pipe so that no more ground settlement occurs in Swartz Creek. Our Swartz Creek trenchless pipe lining company is the only pipe replacement contractor that offers a complete array of pipe rehabilitation techniques for residential, commercial, and industrial applications. Hospitals for example will use Cured-In-Place pipe (CIPP) to rehabilitate their vertical leaking rain drain stacks and leaking sewage pipes, and high-rise apartments would use our epoxy pipe lining process to stop pinhole leaks and slab leaks in their copper water pipes. Cities use our sectional repairs to stop root infiltration at separated clay pipe joints and they use our manhole rehabilitation techniques to stop water infiltration and water exfiltration. Our modern pipe lining techniques allow the trenchless pipe restoration of broken pipes or cracked sewer pipes without excavating floors, walls, driveways, foundations, basements and concrete slabs. This no-dig method of pipe repair is cleaner, cheaper and faster than excavation. Our Permaliner pipe liners have a 100-year life expectancy and come with a 50-year warranty. The pipe liners are installed from one access point, like a rooftop or from an outside cleanout so that there is no invasion of living space or workspace. Although underground pipe lining has been around for over 35 years, small diameter CIPP pipe lining was pioneered by Perma-Liner manufacturing. We are an experienced certified Perma-Liner installer and contractor with extensive experience in high-rise apartment CIPP trenchless pipe replacement, sewer main line lining, industrial pipelining, manhole liners and manhole epoxy lining and residential sewer lateral lining in Swartz Creek.